Creating life is beautiful. Capture this moment. 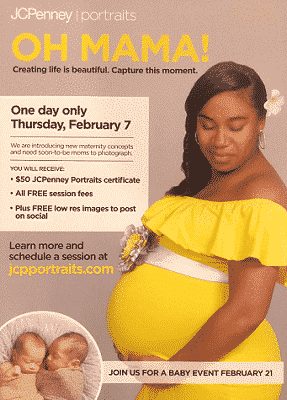 JCPenney Portraits is introducing new maternity concepts and need soon-to-be moms to photograph.